We have several flooring systems available to compliment our varying structure sizes, ranging from simple polythene lined black and grey matting to our raised cassette solution. 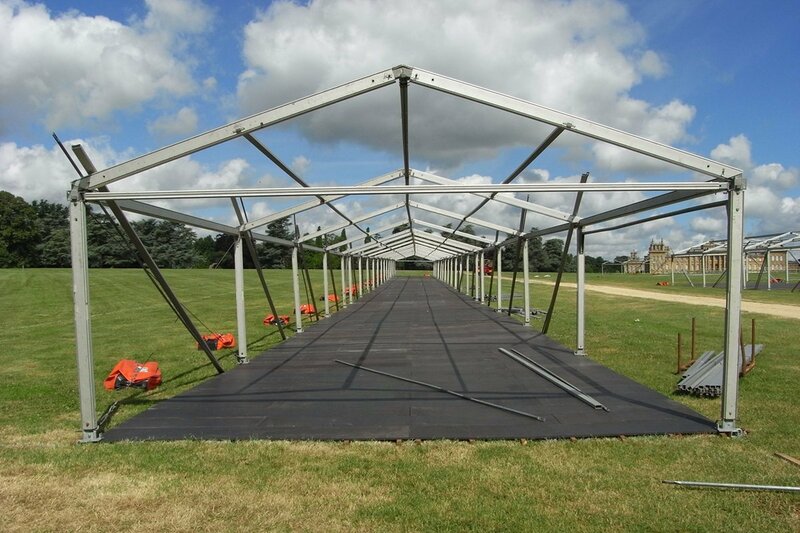 The solution will depend on the ground conditions, marquee size, structure options and budget. Matting provides the most simple solution and is predominantly used during the summer months. Although it is lined with a protective polythene layer, it isn’t recommended in the winter months as it offers limited protection against saturated ground. However, it’s an efficient product to lay, making it a cost effective option and we have installed it to great success at school speech days, traditional weddings and agricultural shows alike. Our matting is hard-wearing and is pinned into a grass surface. A more neutral Coir matting can be sub-contracted in if you would prefer a lighter finish. Our Contour Floor provides a slightly raised wooden surface and is laid to follow the contours of the ground. It is helpful if the site is fairly flat however, we can provide a minimal level of packing to ensure the floor has stability. It is a suitable application on most surfaces and can be covered with carpet or lino products in a variety of colours and styles if you wish, for the final touch. 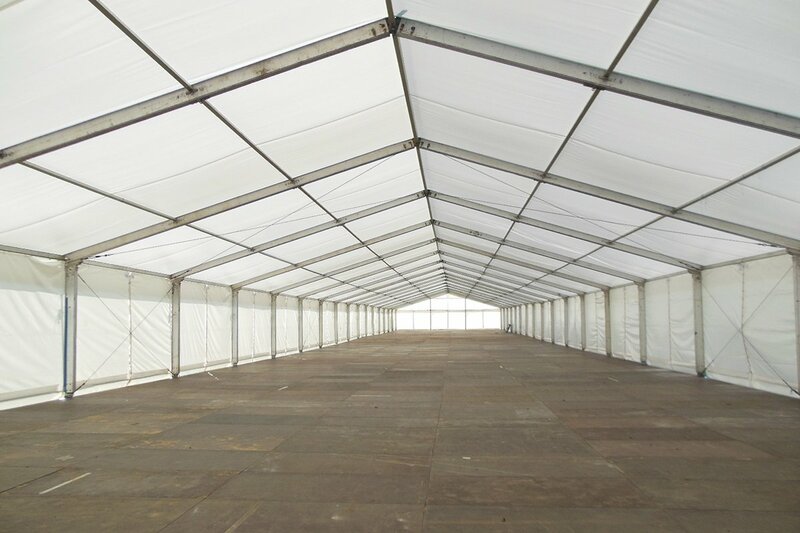 Our contour floor boards fit effectively in our 3m – 15m clearspan frame marquees, sitting beneath the base plates. 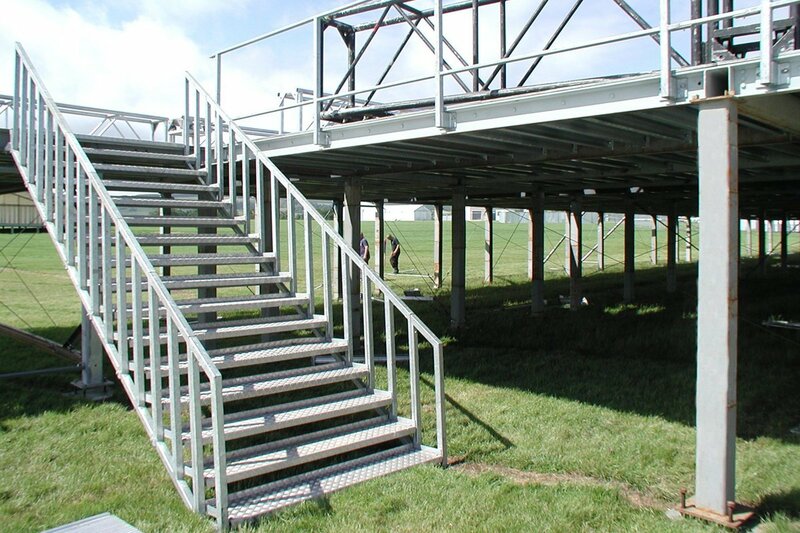 However, in some instances we can adapt this system to fit requirements in our 20m & 25m structures too. This can be discussed with our team at enquiry stage. Cassette Floor is our most practical and comprehensive system and once fitted provides a firm & level surface inside any of our structures. It can also be enhanced with the aforementioned floor coverings, to match the style and colour scheme of your event. 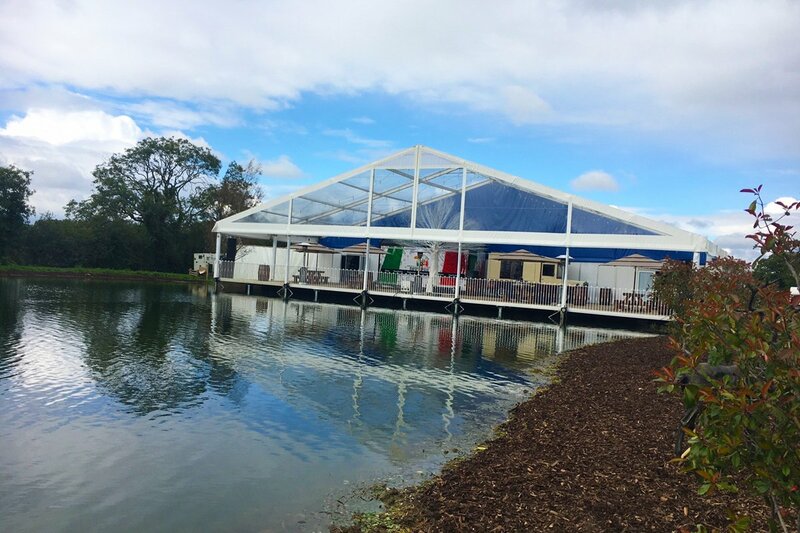 We fit this flooring system on uneven ground of varying surface types to provide a stable and secure base to your chosen marquee, whether it’s 3m or 30m wide! The option of in-floor weights on this suspended floor system gives you even more flexibility with your space. One of our projects for the UWE Graduation Ceremony makes use of these weights in an enclosed space next to Bristol Cathedral where the marquee is assembled on listed flagstones. Multi Floor is a heavy duty flooring system that creates a flat surface on differing ground levels up to 4m in height. 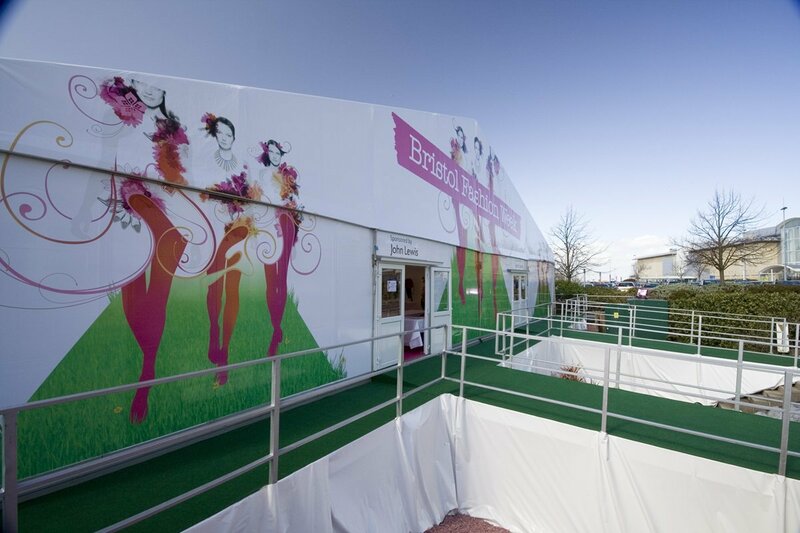 Using a series of interchangeable legs and screw plates this flooring system is capable of taking extremely heavy weight loading and is ideal for uses as diverse as ice rink flooring bases, helipads, temporary supermarkets, hospitality venues, staging and a whole host of other events.